SAINSBURY’S and ASDA may sell 150 stores as part of £10bn merger. The sale would be a bid to appease competition authority findings. What is the latest news? Which stores will be sold and what will happen to jobs? Sainsbury’s and ASDA have suggested they might sell 150 stores in a response to a Competition and Markets Authority report today. Competition watchdog the Competition and Markets Authority (CMA) said it has “extensive competition concerns”. The CMA said the merging of the two supermarket giants would cause a “substantial lessening of competition at both a national and local level”. The sale of 150 supermarkets would go some way to ease the concerns of the CMA. 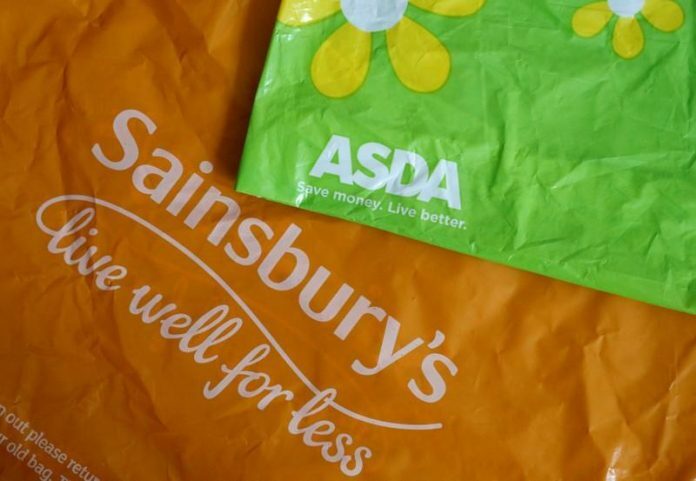 The CMA’s final report on the merger is due on the 14 April – ad that this point the future of Sainsbury’s and ADSA stores may be made clearer. It is not currently known which stores would be earmarked for sale and what would happen to jobs at the outlets. The CMA’s reports on the merger looks into areas of competition in a bid to avoid price rises. If the stores are sold it would be to other similar supermarket companies as per the CMA’s rules and regulations. Sainsbury’s Chief Executive, Mike Coupe and Asda Chief Executive, Roger Burnley said: “We have asked the CMA to correct significant errors in its Provisional Findings. Thomas Cook closures were announced today. Thomas Cook has announced plans to close 21 stores that will put 320 jobs at risk.